No equipment is required to make beautiful, professional hard cover photo books! Pinchbooks™ are reusable, expandable, and use no harmful and messy glues to hold the pages together. 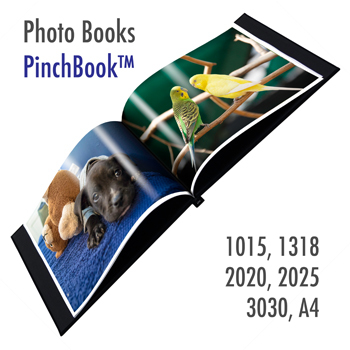 Pinchbooks™ allows your print shop to offer photo books on the spot, for no up front equipment cost and won’t take up precious space in your operation.